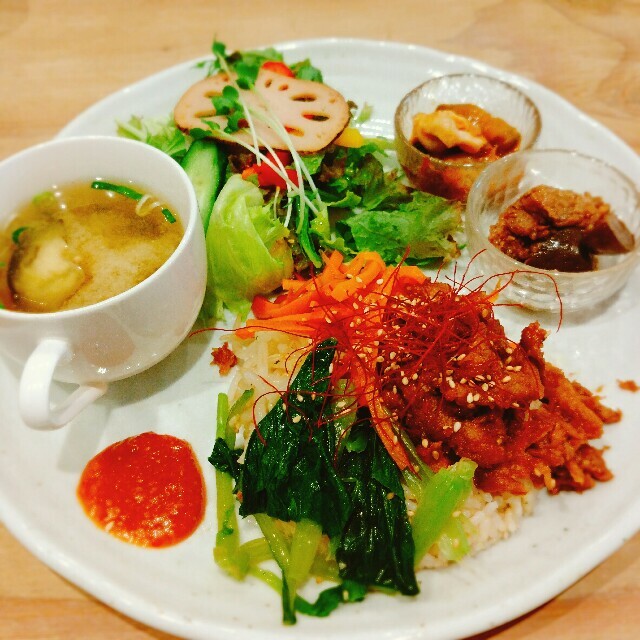 Finally I was at "パプリカ食堂/Paprika-Shokudo" for lunch! I had vegan BIBIMBAP(Korean style rice with veges & soy meat), miso soup, salad and some veggy small dishes. 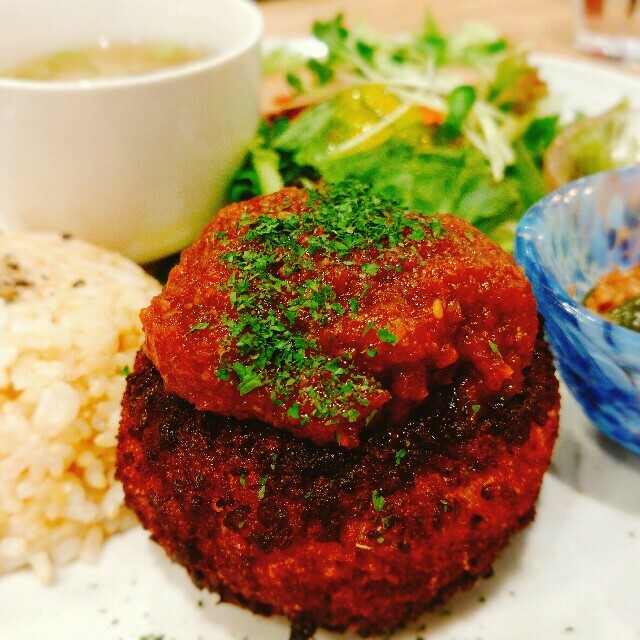 My friend had MEATY hamburger. Of course vegan! They are going to be at 'Ethical Vegan Fest in the Nakazakicho hall' near Umeda(North of Osaka city) to serve vegan-bento-lunchbox!